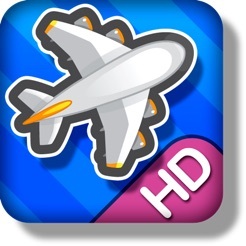 In Flight Control HD, you’re an air traffic controller at an increasingly busy airport. 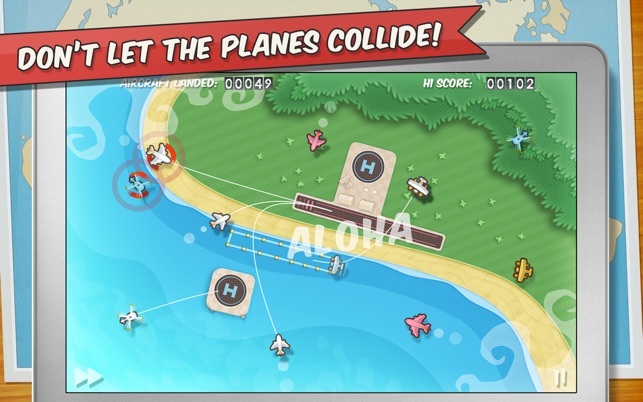 Just point and drag aircraft to their landing zones with your mouse or trackpad, but don’t let them collide. It’s simple, but not easy! You’ll need nerves of steel and smart strategy to keep the chaos under control. Flight Control HD has been especially redesigned for the Mac, with beautiful high resolution graphics, subtle snap-to landing zones suitable for mouse and trackpad play, and collision warnings adapted for a larger screen. ✈ NEW ✈ Play Safari Airfield, an all-new map with unique gameplay, available only on the Mac App Store! ✓ Infinite replayability as you chase ever higher scores! So welcome aboard - please sit back, fasten your seatbelt and enjoy the mayhem on the big screen. 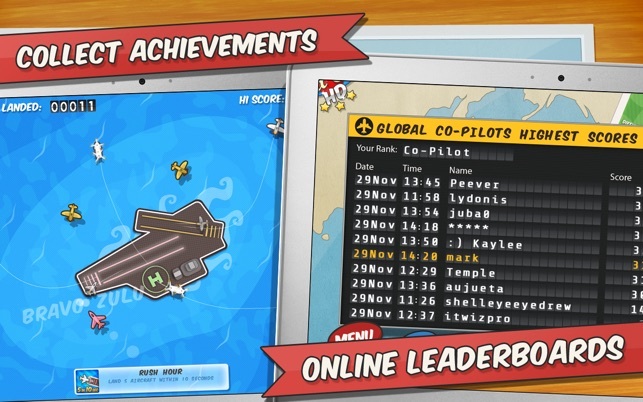 Treat yourself and buy Flight Control HD now, or surprise a friend and “Gift This App”! 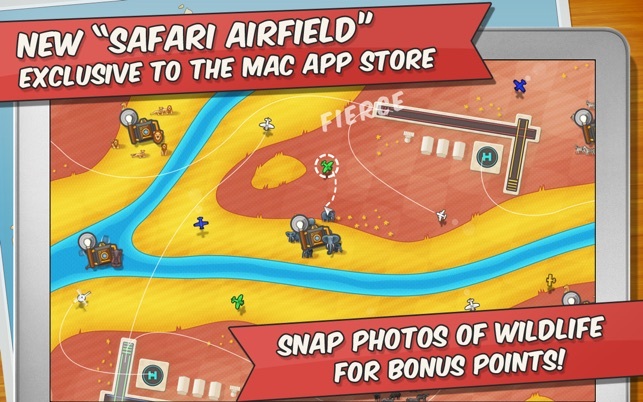 * PLAY SAFARI AIRFIELD, AN ALL-NEW MAP EXCLUSIVE TO THE MAC APP STORE! 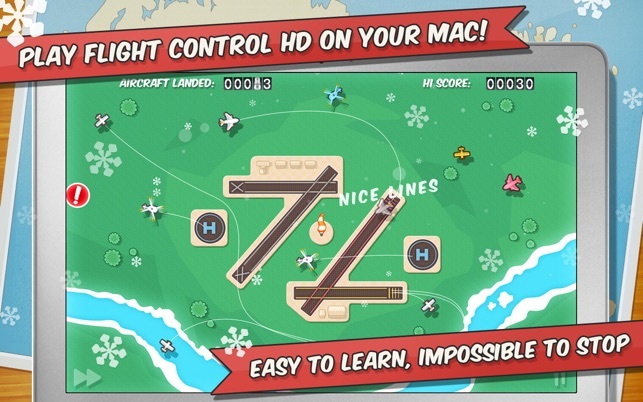 Safari Airfield is the new, high-definition map for Flight Control HD for Mac App Store. It's available only in this version of the game and includes unique gameplay that will really boost your score! To earn instant points, just take photos of the animal herds dotted around the map by flying over them. Elephants, buffalo, hippos and zebras are worth one point while lions will net you three! - Lion Pride: Photograph 20 or more lions on Safari Airfield. 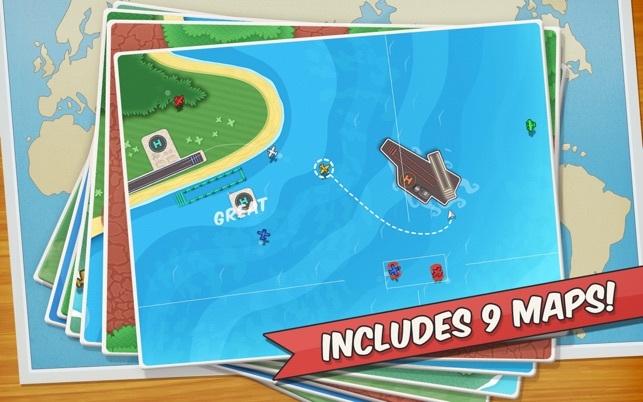 - Shutterbug: Fly through all six photo points and land safely on Safari Airfield using a single aircraft.